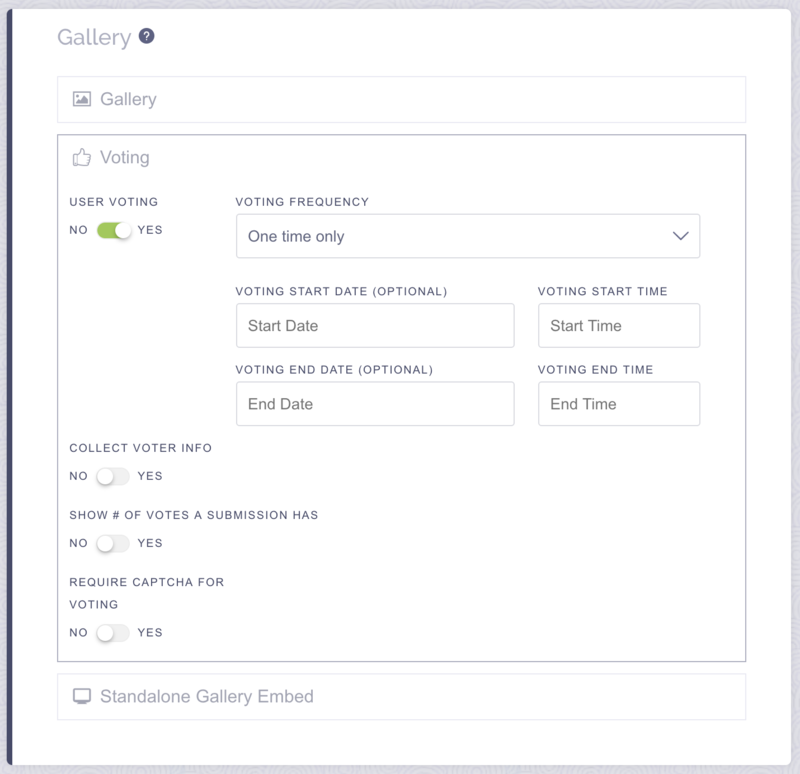 ViralSweep supports contest voting, so users can vote on submissions within a gallery. We offer two forms of voting, a public vote, or a restricted vote that requires email address and or name. To modify your voting settings, edit the campaign and go to Gallery > Voting. Turn user voting on or off manually, or set automatic start and end times for voting. If you set start and end times for voting, the voting buttons will automatically appear and disappear based on the set times. *Event mode is to be used for in person voting, where people are all voting from the same network or IP address. A typical use case is an internal company contest, and everyone is casting a vote from their own device at the office. By default, voting is a public vote based on users location, device, and IP address. If you enable the voter info option, you can collect a combination of email, name, and add an opt-in box. Voters will not be able to cast a vote without providing their information. We provide all information collected for each vote, which you can find under Entrants > Moderate > Voter Log (top right corner). This option allows you to show or hide the number of votes a submission has. 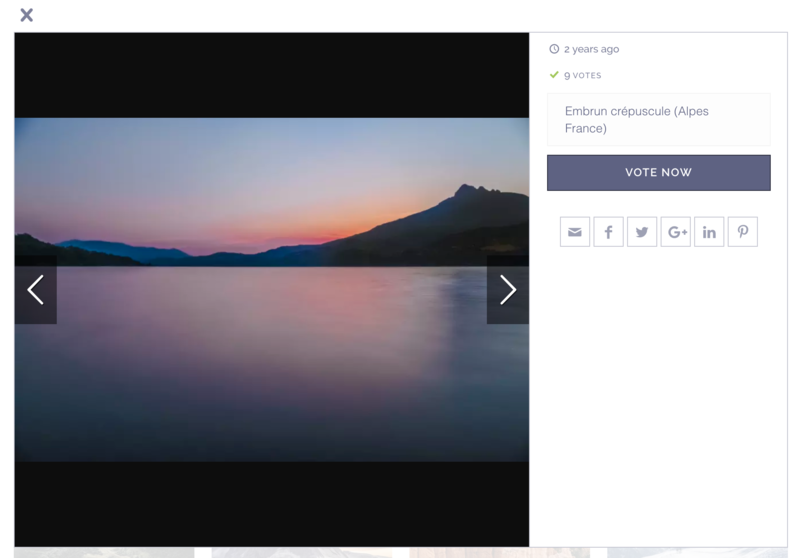 If you enable it, the vote count will appear on the photo/video in the gallery, as well as on the zoomed view. This option allows you to require a voter to complete captcha before their vote can be cast. Still have questions on contest voting? Simply click the support or live chat icon to get in touch with us.